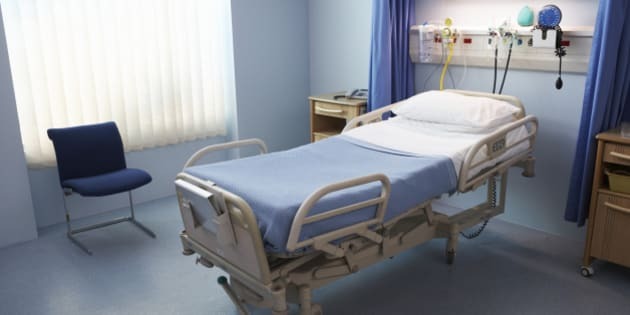 TORONTO - A new report says one in 10 Canadians who goes to an emergency department and requires admission to hospital has to wait more than 28 hours for a bed. The report says nine of 10 people who transfer into hospital from the emergency department do so in under 28 hours, and for them the median wait was 8.8 hours for a hospital bed. The report is from the Canadian Institute for Health Information. Agnita Pal of the institute says the people who are waiting the longer periods are typically older adults, who often have complex medical cases. The lengthy wait some people experience is well beyond what is recommended by the Canadian Association of Emergency Physicians (CAEP). The association issued a policy statement last fall calling for half of emergency department patients to be admitted within eight hours, and nine of 10 to be admitted within 12 hours. Pal is the manager of clinical administrative databases operations at the Canadian Institute for Health Information. She says emergency department wait time data show that for people who get care in emergency departments but don't need hospitalization, "the time that they spend in the ED were well within the national targets that are being recommended" by the emergency physicians' organization. And for people who required an admission, the median wait time was 8.8 hours — not too far off the eight-hour target. But median means that half of the people waited less than 8.8 hours and half waited longer. "It's just that one out of 10 are having to spend ... 28 hours, over 28 hours to get admitted. So that is over CAEP target," Pal said. The figures were compiled from a database of more than 10 million emergency department visits from April 1, 2012, to March 31, 2013, in participating hospitals in British Columbia, Alberta, Saskatchewan, Manitoba, Ontario, Nova Scotia, Prince Edward Island and Yukon — a pool representing nearly 60 per cent of all emergency room visits in Canada during that period.